PRISM Docs is a documentation management solution for finding, sharing and controlling critical technical and business documents. 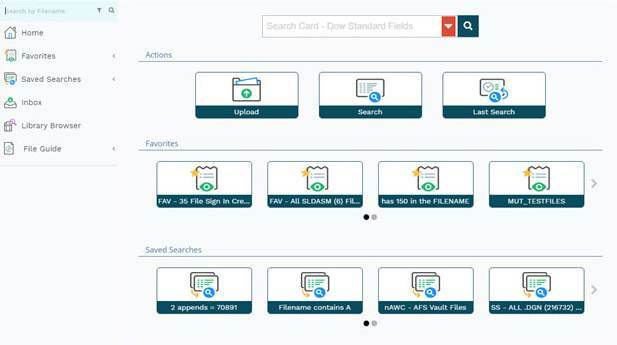 It is a simple and flexible tool for solving the most complex data management, workflow and collaboration challenges while easily addressing the unique requirements of other departments across the enterprise. Whether you are looking to manage general business documents, complex CAD and 3D files, engineering processes, facilities engineering documents, product data, or Product Lifecycle Management (PLM) goals—you are in the right place. PRISM Docs has the flexibility and simplicity to scale to meet any and all of these needs. Scalability. With PRISM Docs, you can start anywhere and easily scale to meet your business’ most complex and far-reaching needs without adding enterprise-scale cost and complexity. Flexibility. PRISM Docs has the features and control needed to adapt to the unique needs of your business, whether you need a point solution for CAD file management or you want a single solution that meets the document, data, and workflow needs of your entire enterprise. Simplicity. PRISM Docs is easy to implement, affordable, and intuitive to use. This allows you to quickly and cost-effectively scale the solution to any department in your organization.